Files with a .m4v file extension are iTunes video files. When you download a movie or TV show from the iTunes Store, the video would usually be in M4V format. The DRM protection applied on the M4V videos aims to prevent them from being copied and distributed easily. You won’t be able to play it with video players other than iTunes. And if it’s the movies and TV shows you download from iTunes, they can only be played on iTunes and authorized iOS devices, which is a bad news for Android and other mobile devices. So if you can get the DRM protection removed, you will have full control over the M4V video and play them on any devices you like with any media players. iTunes is a popular video streaming and downloading program. A lot of people watch and download movies from iTunes. As time goes by, you might have a lot of movies and TV shows downloaded from iTunes eating up your precious storage space. With the DRM protection removed from them, you can transfer them to an external hard drive or an SD card on your phone to make room on your Mac for new videos. You may argue that M4V videos with DRM protections can also be copied to said places, but note that you won’t be able to play them without iTunes. So if you are in for removing the DRM protection from your M4V videos, here’s what you need to proceed with the M4V DRM removal process on Mac. The first and the most important thing you need to do the job is a suitable DRM removal program. From what I’ve seen, Leawo TunesCopy Ultimate for Mac is a great program for the job. Not only is it powerful enough to remove the DRM protection from your M4V videos on mac, but it’s also very user-friendly, even for people who just started using macOS. Read the content below and it will give you the clue as to how to use this program for M4V DRM removal on Mac. ☉ It can DRM protection from iTunes purchased and rental media contents including TV shows, movies, music and audiobooks. 1. Start Leawo TunesCopy Ultimate for Mac and the first thing to do afterwards is to import the M4V videos you have to it. And you can do it in two ways. One is by using the Add Files button. Click on it and then choose the M4V videos. 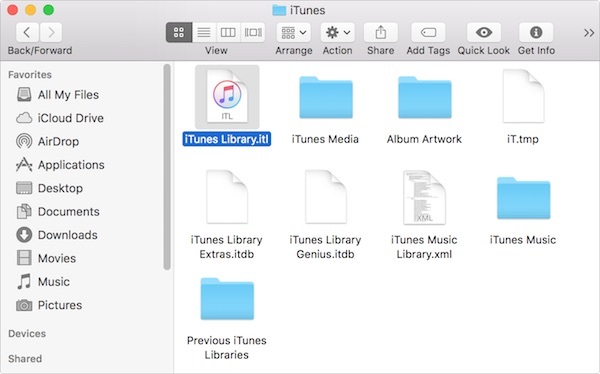 The program will scan your iTunes library in advance and show you the media files in your library when you import them to the program. The other means to import the files is find the M4V videos in the Folder program and drag them to file list directly. Note: Usually the TV shows you download from the iTunes store are stored in /user/music/itunes/itunes music/tv shows/. And moves are stored in /user/music/Itunes/itunesmusic/movies. If you want to find the M4V videos you download from iTunes in the Finder program, those are the places you can find the videos. 2. If the M4V videos or movies contain more than one audio track and subtitles, then you can choose which tracks or subtitles you need in the output video. Click on one video file to select it and there would be an Edit button on the file, click on that Edit button and all audio tracks and subtitles will be shown on a pop-up menu for you to choose. 3. Notice the Output Label at the bottom? Next to it is the default output directory. If you want to change it, click the “…” button next to it. And when the whole process is done, that’s where you can find the output videos. 4. To get the whole M4V video DRM removal process started, click the Convert button next to the output directory box, and the files will start to be converted to MP4 and after the conversion, the DRM protection will be gone for good. Getting the DRM protection applied on M4V videos removed on Mac can greatly widen the way you play your videos. Leawo TunesCopy Ultimate for Mac is a great tool for M4V DRM Removal Mac users could use. Not only can it remove DRM from M4V videos, it can also remove DRM from iTunes music, audiobooks and audiobooks from Audible.com. If you download media content from iTunes a lot, you are going to love it.